The Waterside Inn ARE YOU A VENDOR? 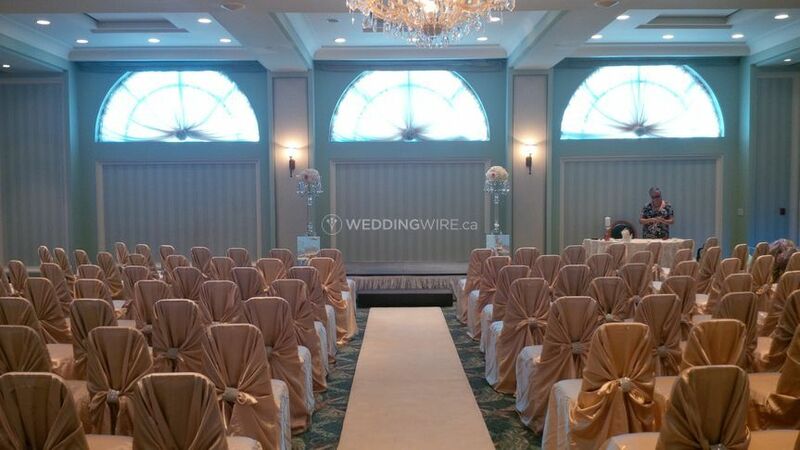 Exchange your wedding vows in the luxurious ambiance of The Waterside Inn, located in Port Credit, Mississauga’s quaint village by the lake. 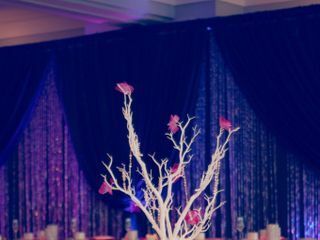 The venue eminates an elegant and tranquil atmosphere, creating an ideal setting for your unique waterfront wedding. Located in Mississauga, Ontario, The Waterside Inn is 25 kilometres from Toronto. It is 20 minutes from the Toronto Pearson International Airport. A ceremony of 180 guests can be held on-site. 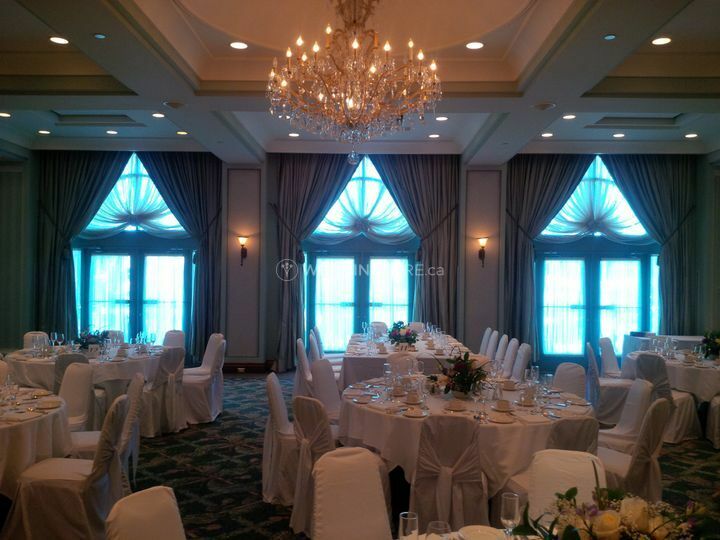 The gorgeous Port Credit Ballroom features three antique crystal chandeliers and a small private terrace. 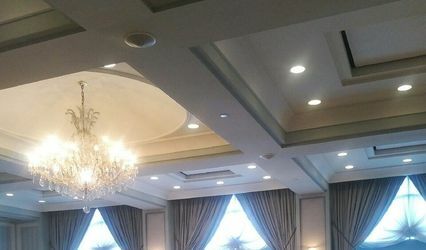 The ballroom has a capacity for 250 guests. 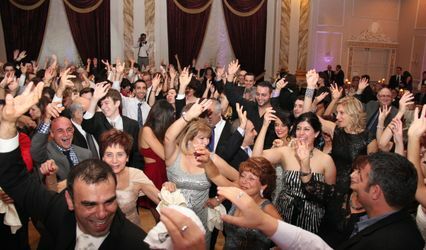 For a more intimate party, the ballroom can be divided into three smaller sections. The Waterside Inn is also home to Breakwater Restaurant, Mississauga's only CAA Four-Diamond, award-winning restaurant. Breakwater can accommodate up to 80 guests comfortably for an exclusive event. A minimum food and beverage spend is required - spend varies depending on the day of the week and time of the function (day or evening). No wedding is too small! The River Room is a small, private dining room located on the main floor of the hotel. It can hold up to 16 guests comfortably for a private dining experience. Please note that they do not allow outside catering. The culinary team of The Waterside Inn offers wedding menus based on current seasonal selections. 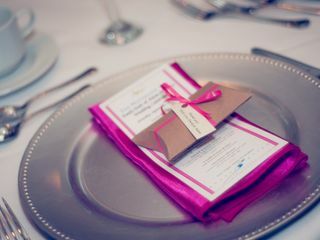 Couples have the option to choose from various wedding menu packages. Also, the Social Catering Sales Manager and Executive Chef are happy to customize your package. Packages include chef’s choice of hot hors d’oeuvres and cold canapes, gourmet dinners, and bar services. The Waterside Inn features luxurious guest suites that are uniquely decorated and tastefully furnished for ultimate comfort. Special reduced rates are offered for your overnight guests. Guests can also enjoy the in-room Spa Package. Other services The Waterside Inn hosts various wedding-related events at their venue. Consider celebrating your engagement party, bridal shower, and bachelorette party here. 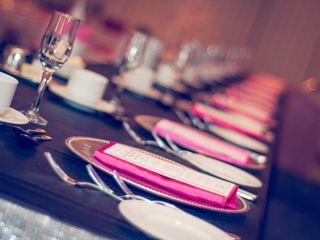 What is the minimum number of guests required to book your venue? For a Saturday during the peak season the minimum is 100 guests, otherwise there is no minimum. 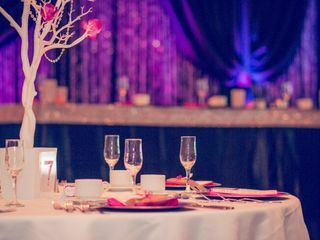 How many event spaces or rooms does your venue offer? 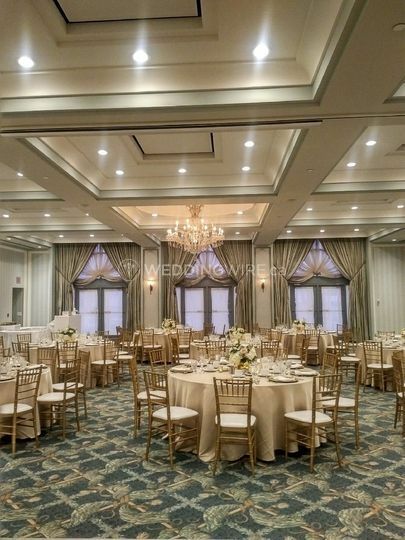 One ballroom, one restaurant and one smaller private room. 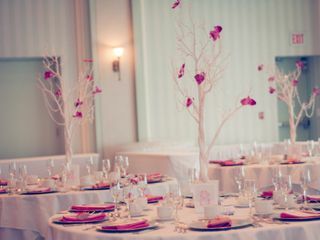 We held our ceremony and brunch reception at the Waterside Inn. We were happy with the catering staff, food and venue. 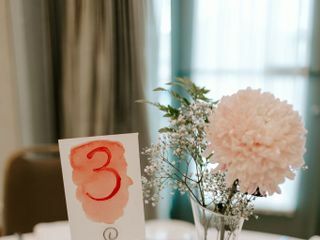 Waterside provided all the linens and some light for the table, I provided my own table numbers and small floral centrepieces. The catering manager Marlene Barcelos and her team did an excellent job in all the coordination. Thank you so much for your wonderful review! It was a pleasure working with you both and I wish you all the best! 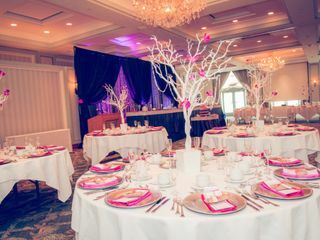 The Watereside Inn is a beautiful boutique venue. 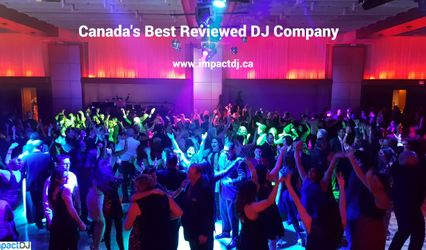 The facility is beautiful being down in Port Credit on the waterfront and the staff goes out of their way to ensure that the event goes off without any hitches. Marlene, the Social Catering Sales Manager is so professional and adapts to any request to make your event successful - and has a wonderful personality, to boot ! Thank you for your kind words Jim! It was a pleasure and an honor to work with you and Paul - I miss you both! I wish you both all the best, you're an amazing couple, and I hope we can work together again in the future (or just meet up for a drink!). Thank you. Incredible food, venue and staff. The Waterside Inn was our first choice as a venue. We live in Port Credit, we love the area, and with reading all their incredible reviews, it was an easy decision. However, once we contacted the Waterside, they were booked for our wedding day, so we had to come up with a plan B. On the cusp of making a final decision, I contacted the Waterside Inn to see if there were any changes. To our surprise and amazement, they had a cancellation, so it was meant to be all along. We met with Marlene, who gave us a tour of the venue and was incredibly friendly, helpful and knowledgeable. We instantly felt so at ease with Marlene. She was amazing from that first meeting. 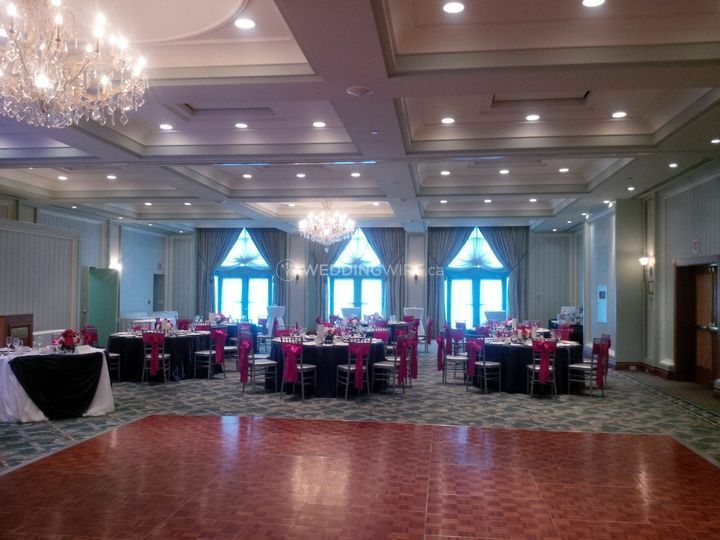 Planning a wedding at the Waterside was a breeze. Marlene handled so much, and responded to every e-mail, phone call with so much professionalism and charm. I felt like we had nothing to worry about, because our day was in very capable hands. The level of service we received was of such a high standard. Our tasting was handled with so much care. We really felt like royalty, and it was so hard to choose our menu because the food was so delicious! We ended up customizing our menu, and Marlene was incredible in conducting it all. 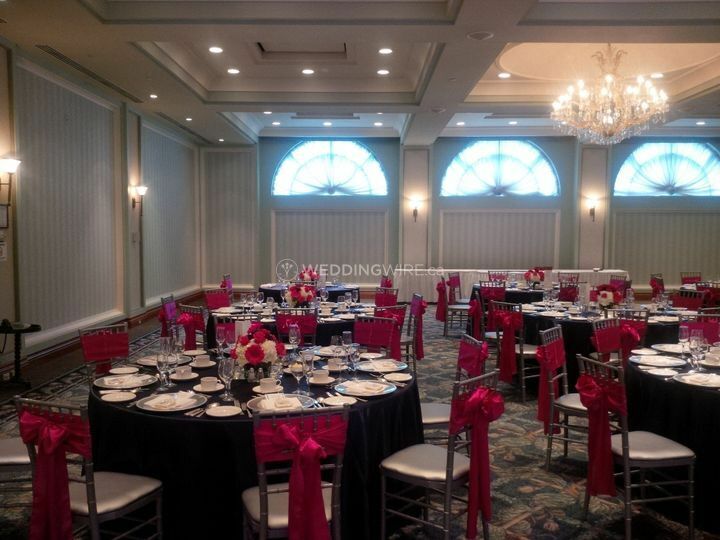 The night before our wedding, us and some members of our families came to prepare our receiving table, and got a glimpse of the grand ballroom all set up for our big day. We had tears in our eyes. Everything was so perfectly placed. The Waterside Inn have an elegant vintage charm which shines through in their level of service. Linens were crisp white, not a wrinkle in sight. Polished charger plates and cutlery. Wine glasses sparkling in the light. It was everything we envisioned and more. Our wedding day was incredible. The staff were so professionally dressed and courteous. 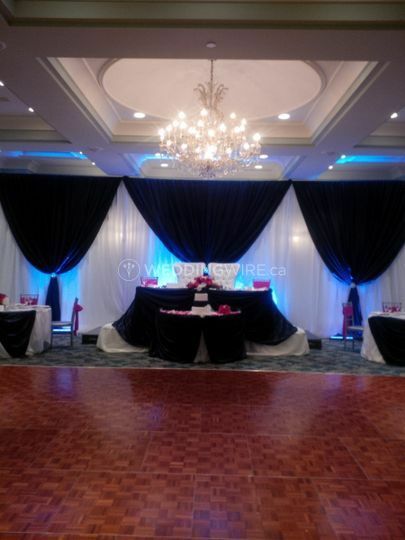 The food was out of this world, and the ballroom looked stunning. We were so happy. Our guests keep telling us how they also felt like royalty on the day, which is amazing. We had relatives and friends staying at the Inn for extended periods of time, as many traveled from abroad to be here. They all complimented the Inn and had a great stay. The little touches are what makes the Waterside so unique. 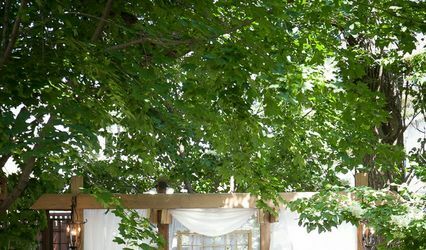 If you are looking for a venue which will deliver on every aspect of what makes a wedding a great one, this is the place. We couldn't be happier. Thank you Marlene and all the staff at The Waterside Inn! Thank you for your amazing feedback Lila! I'm so touched by your words and so happy that it all worked out for you due to the cancellation. It was a pleasure working with you and James and I wish you both all the very best. Thank you!!!! Amazing venue - beautiful, elegant and intimate at the same time. 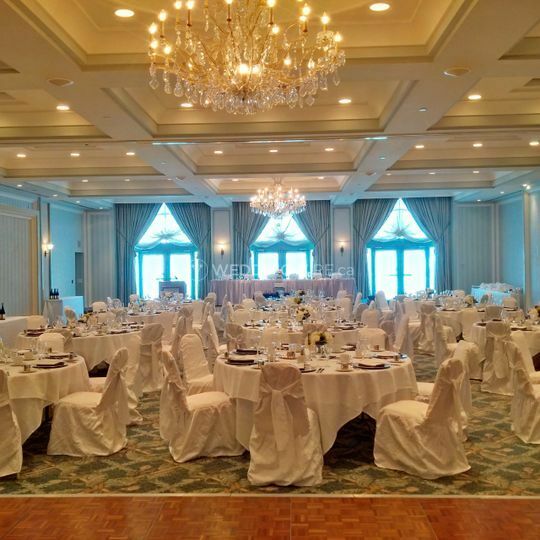 We had a fantastic experience having our ceremony and reception at Waterside Inn. Marlene was especially helpful and just beyond awesome, she guided us through the planning process and helped out in so many other ways, we are very grateful to her for making things so much easier and smoother for us. 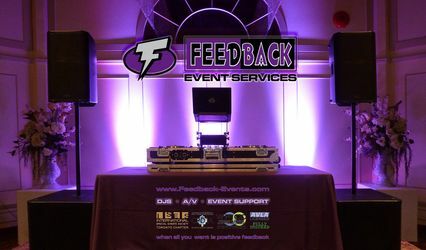 Staff at the venue was excellent, couldn't be happier with their services. Would recommend this venue to everyone! Thank you for your amazing review! It was a pleasure working with you both and I'm so glad your vision became a reality! 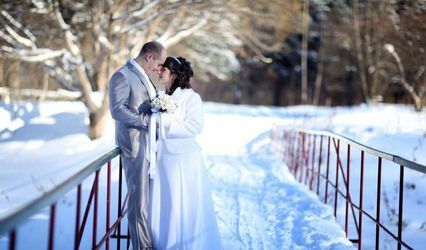 My husband and I had our wedding reception at Waterside Inn in July of 2015 and we were extremely happy with our experience. From the very first visit, Marlene Barcelos was extremely helpful and beyond professional in every element of the planning. 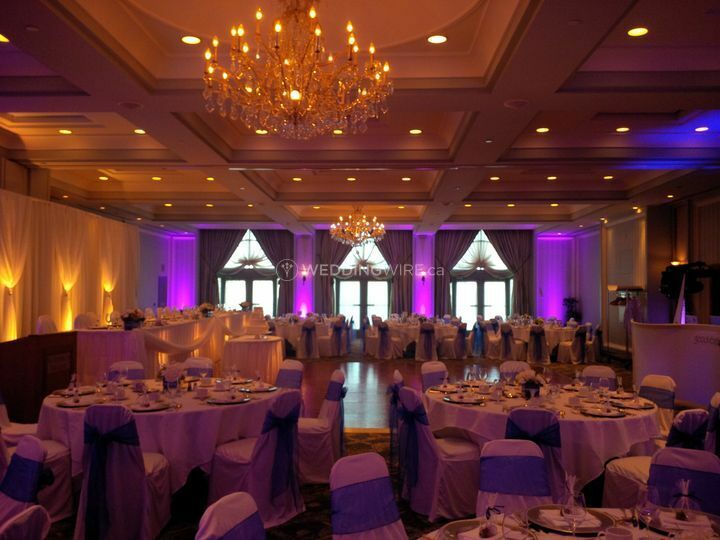 We had about 250 guests that were able to sit comfortably and enjoy the stunning banquet hall with ease. The staff was very accommodating to all of our needs and requests, including customizing certain meals to meet the various dietary restrictions of our guests. All of the food was fantastic! The guest rooms were bright and luxurious, and everyone who stayed said they would be returning. This includes us, who very happily spent our first anniversary there, reliving the happy day. Waterside went above and beyond our expectations to make our wedding feel unique and special. Can't wait for our next visit! Thank you so much for your AMAZING review Cassandra! It was a pleasure working with you and Rodnne and I hope you are both doing well! Thanks so much and we look forward to hosting you again in the future.